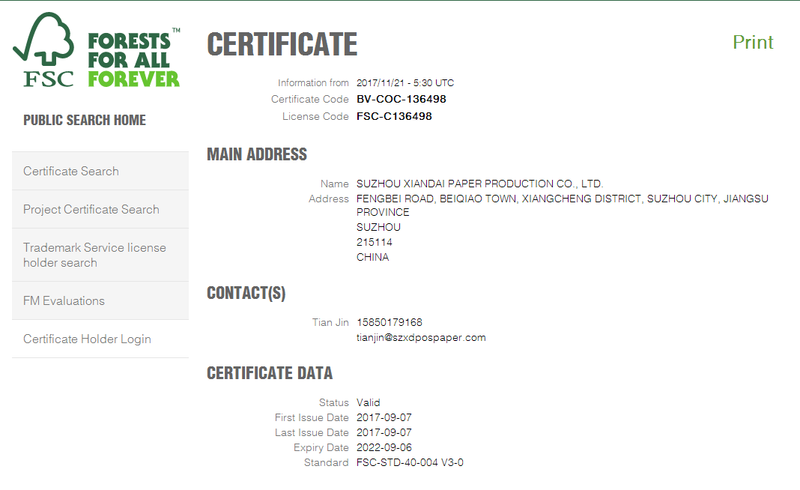 Company Overview - Suzhou Xiandai Paper Production Co., Ltd.
13YRSSuzhou Xiandai Paper Production Co., Ltd. 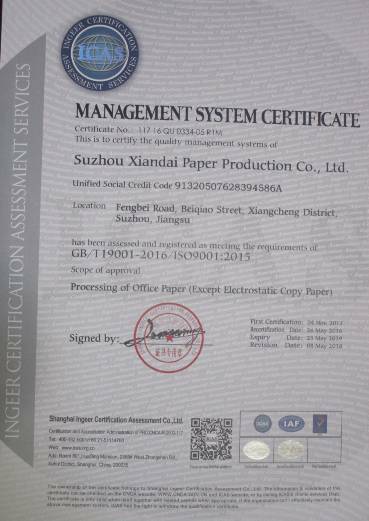 Founded in 1983, Suzhou Xiandai Paper Production Co., Ltd is one of the earliest manufacturers of computer print paper in China, as well as a member of China Commercial Note Printing Association. Over the past 23 years, our company has enjoyed good reputation among customers, being one of the major suppliers of computer print paper and paper for POS machines in Mainland China. Our products are mainly exported to America, Spain, South Africa and other countries and regions across the world. We not only boast the experience of export operation and services, but also are capable of researching and developing the latest products that the market demands. We also manufacture cutters for POS paper. Our main products include: 1) Print paper for POS (thermal paper, ordinary paper and multi-layer carbonless paper)2) Rolled print paper and note paper for ATMs3) Payment bill for credit cards 4) Heat-sensitive fax paper 5) Computer print paper and sheet print paper 6) POS and payment receivers7) Printer ribbons8) Cutters for POS paper9) Pipe cores for POS paperWe boast our own factory, and plastic pipe core processing workshop. We can develop and manufacture plastic pipe cores and cutters for POS paper, so that we can provide different products for various clients at the lowest cost possible.Among market competition over the past years, we have established a manufacturing and sales team of high caliber, thus enjoying a large number of customers both at home and abroad. Our products are widely used in the banks, supermarkets, telecommunication companies and restaurants.It is our belief that we can provide top quality and best services for the customers with lowest price based on our experience in manufacturing, research, development and services as well as on our own production and innovation capabilities to better reduce costs.Believe us, we are your best partner. 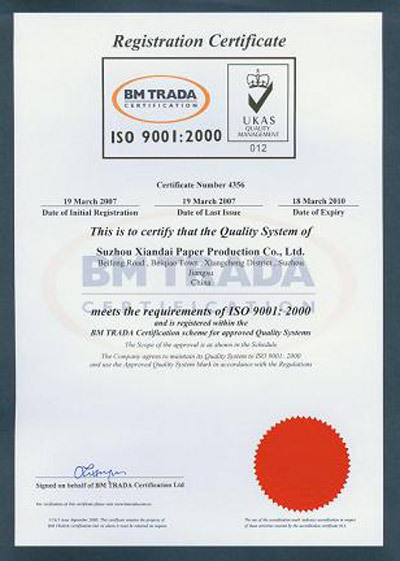 Issued by BM TRADA Certification Ltd. Manufacture and sales of kinds of paper for office. Rolled thermal paper Adhesive labels Self-copying and carbon papers Other pulp and paper products n.e.c.